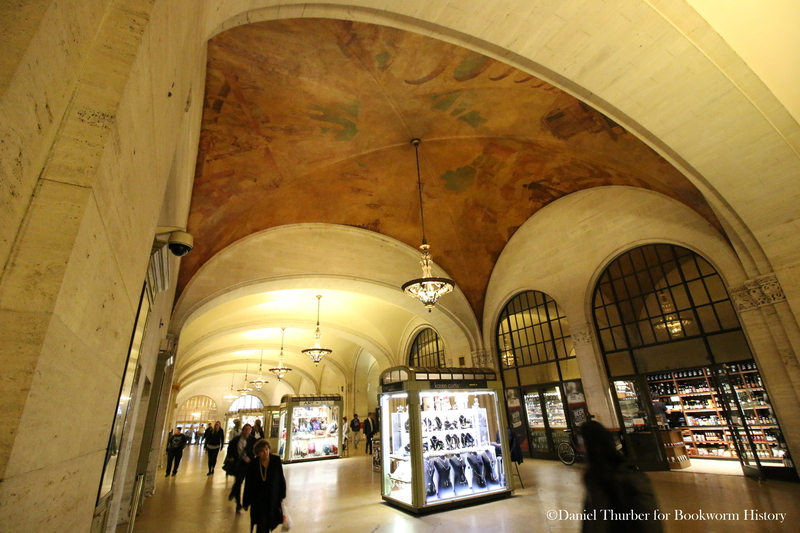 While most people are familiar with the massive celestial mural in Manhattan’s Grand Central Terminal (I’ve done two separate articles about it myself), most don’t realize the storied railroad hub is home to another vaulted work of art. Located in the Graybar Passage, between Grand Central Market and the Graybar building, 20 feet above commuters’ heads is an oft-overlooked painting devoted to Jazz Age industry and innovation. If you were a painter in the 17th century, what would have been the best way to ensure your face is remembered? If you’re Vermeer, Rembrandt, or Dürer (especially Dürer! ), you paint yourself into every work someone asks you do! What is the easiest way to tie together a 3rd century BC Greek historian, a 16th century Italian iconographer, a 17th century Dutch revolt, a 19th century Austrian count, and a 20th century German dictator? How about a painting by one of the greatest artists of all time? What Did Shakespeare Really Look Like? Greetings, folks! Just finished up a new Bookworm History episode over on the YouTube channel! This one’s all about the various portraits and pictures thought to depict the Bard of Stratford-on-Avon, William Shakespeare and whether any of them accurately illustrate what he looked like. Check it out! Do you think any of these images actually depict Shakespeare? Leave your thoughts in the comments! St. Louis, Missouri. Capital of the United States? While nowadays it seems a foregone conclusion that the United States capital city is Washington DC, for the first 100 years of the country’s existence it was hardly so defined. The location, ten square miles straddling the Potomac River with portions in both Maryland and Virginia, was established by law in 1790 with the Permanent Seat of Government Act (legislation recently dramatized by the song “The Room Where It Happens” from the musical Hamilton), but this didn’t satisfy all Americans. Over the course of the young country’s first century, the topic of where to locate the capital would come up three more times.